On 17 February 2015, UPS delivered a carefully wrapped package from Getzen Company, Inc. of Elkhorn, Wisconsin directly to my front door. 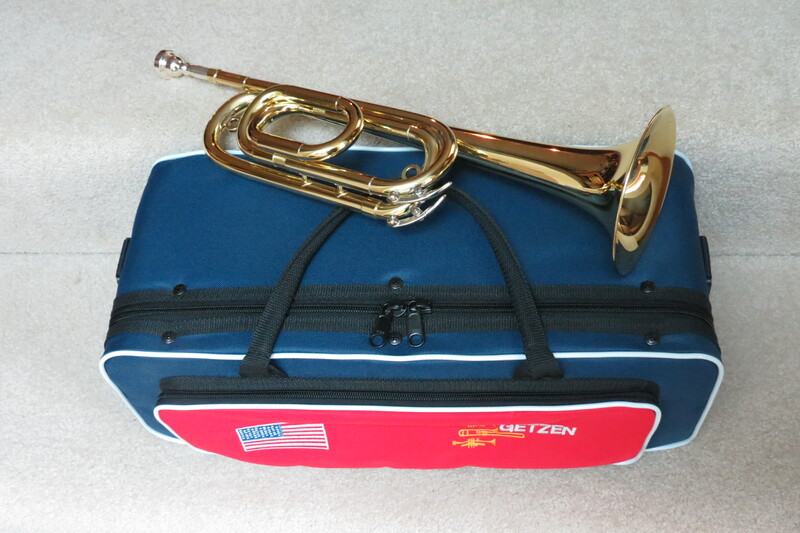 Instantly, I knew what was inside—my new Getzen Field Trumpet!—commonly known as a bugle. I played it publicly for the first time with the Honor Guard, VFW Post 1040, on the following Saturday at a graveside service at the IOOF Cemetery in Monroe, WA. It’s sonorous! The bell is one piece, hand-hammered yellow brass. Like all Getzens I’ve ever played, it blows easily, with minimal resistance, and the tone is solid and rich. I bought the extra G tuning slide, too. I plan to use the G tuning slide for “Taps” and “Funeral March” and the B-flat slide for most other bugle calls. The U.S. Army and Navy use at least 67 bugle calls. In addition to being Post Bugler for VFW Post 1040, I am also a member of BAA, a national organization that furnishes live buglers for military funerals, memorials and ceremonies. The designation, “American Heritage Elite,” is given by Getzen to those field trumpets purchased by members of BAA. See http://www.buglesacrossamerica.org. For more about Getzen instruments, see http://www.getzen.com.